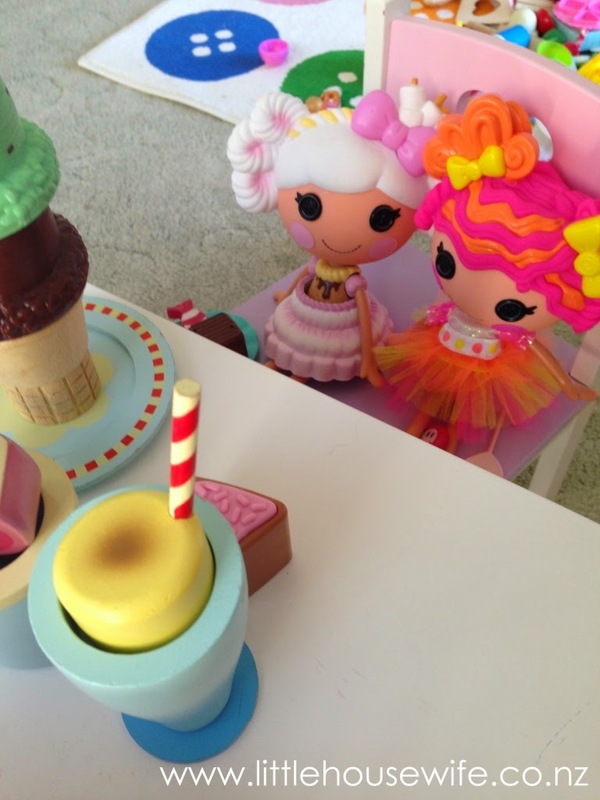 The second task we undertook as Planet Fun's Official Lalaloopsy Ambassadors was to review the latest range of Lalaloopsy big dolls on the market. My girls took this job very seriously indeed and went about setting up a tea party to welcome the new dolls and introduce them to the other Lalaloopsy dolls. 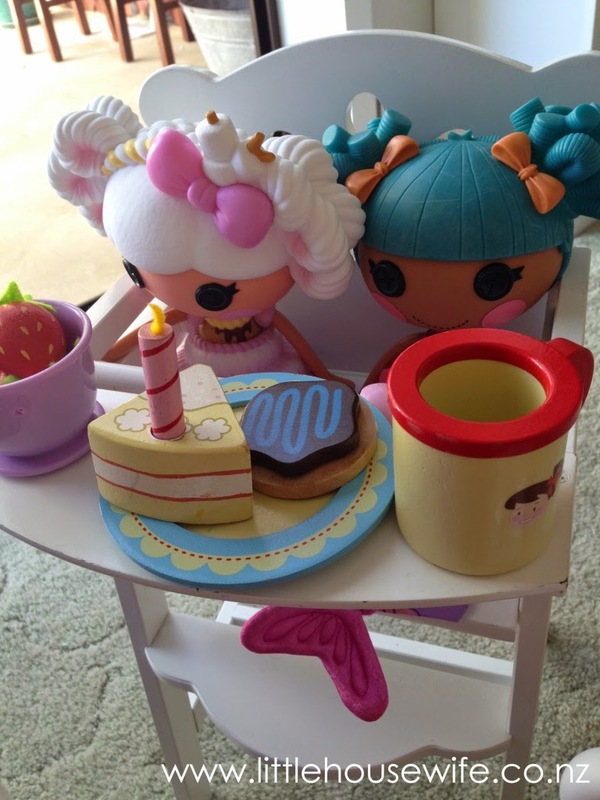 Their arrival was perfect timing as we were planning a Lalaloopsy party for Maddie's 5th birthday and they made perfect table decorations for either side of the cake. 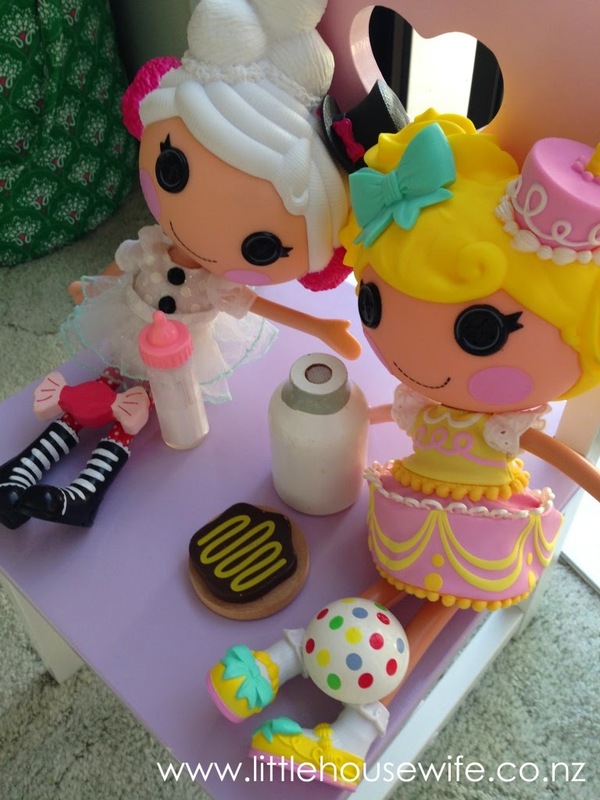 The new Lalaloopsy big dolls measure approximately 32cm tall and are called (from left to right) Candle Slice O Cake who was sewn on Your Birthday! and is made from birthday cake, Sweetie Candy Ribbon who was sewn on May 23rd and is made from a piece of taffy and Toasty Sweet Fluff who was sewn on August 10th and is made from a fresh marshmallow. 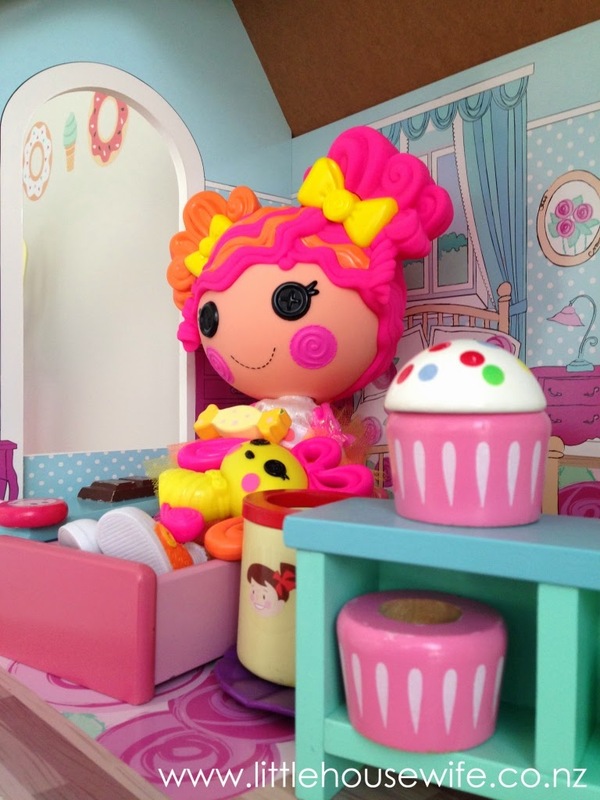 After all the introductions had been made, and all the cupcakes, cookies and ice cream been eaten, it was decided that Sweetie Candy Ribbon wasn't feeling too well so she was sent to bed in the dolls house with her pet, a cup of tea... and more cupcakes! Candle Slice O Cake settled in downstairs to watch some TV... and eat more lollies! It's great to see the girls using our dolls house more often. This big one was from Kmart and from memory was only around $89.00. It's the perfect size to fit the Lalaloopsy big dolls and Barbie dolls as well as all the smaller dolls that it was really intended for. 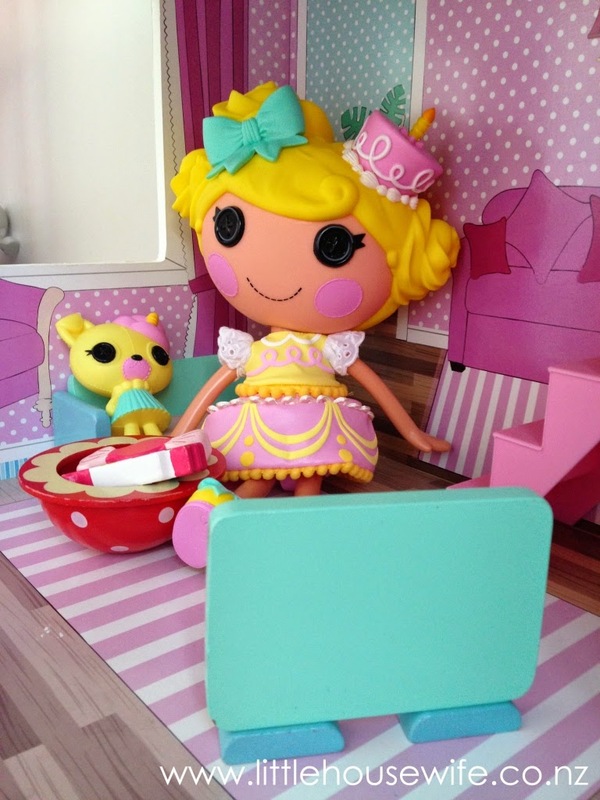 Consensus from the girls is that they love the new Lalaloopsy big dolls! You don't have to share but we'd love you if you did. Don't forget to "like" our Little Housewife Facebook page so you can see if you are one of the lucky winners. 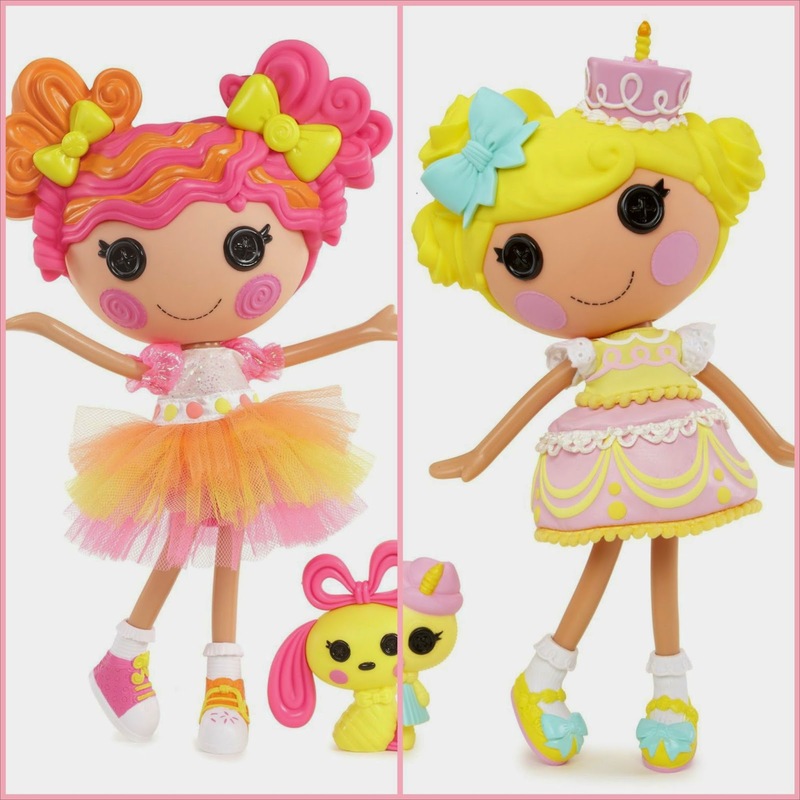 For an extra entry, comment below with the name of which Lalaloopsy Big Doll you'd like to win - Sweetie Candy Ribbon or Candle Slice O Cake. Entries close on Friday 15 May at 8.00pm. Two lucky winners will be drawn using Karmas Good Luck Fairy to win one doll each - either Sweetie Candy Ribbon or Candle Slice O Cake. We can't guarantee that your first choice of doll will be available. Giveaway open to New Zealand residents only (sorry international readers! x). And as usual, this promotion is in no way sponsored, endorsed or administered by, or associated with, Facebook. We would love the doll Sweetie Candy Ribbon. Thanks for the chance to win. How cool that your girls get do this. Maclayne would love Candle Slice O Cake. My daughter would love to add Sweetie Candy Ribbon to her collection. It is two of her favourite things combined, a doll and candy! Isobel would love Sweetie Candy Ribbon. My granddaughter loves dolls and I am quite sure she would love Sweetie Candy Ribbon. Probably start another doll collection! Both dolls are very cute! My daughter who has just turned 7 chose Sweetie Candy Ribbon after much umming and ahhing. But honestly, she'd love either! Candle Slice O Cake would be lovely!